My co-worker orchestrated an experiment the other day, involving the consumption of the miracle fruit. Never heard of the miracle fruit? The berry is sweet, and contains an active glycoprotein molecule, with some trailing carbohydrate chains, called miraculin. When the fleshy part of the fruit is eaten, this molecule binds to the tongue’s taste buds, causing bitter and sour foods (such as lemons and limes) consumed later to taste sweet. This effect lasts between thirty minutes and two hours. It is not a sweetener, as its effects depend on what is eaten afterwards, but has been used to sweeten bitter medicines. I would much rather describe this as a ‘taste bud hallucinogen’, as that feels more accurate to me. We measured out our doses and waited. After 3 minutes of coating our tongues with the stuff, the feasting began!! My undisputed favorite of all the things we tried was goat cheese, which tasted very much like goat cheese normally does, except far sweeter. It was somewhat reminiscent of strawberry cream cheese, only goaty. Limes and lemons tied for second, as they tasted like limeade and lemonade respectively. 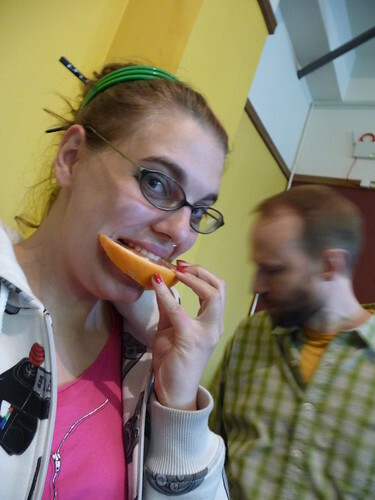 Fruit juices were quite amazing, and that’s saying something considering that I have a more-than-severe juice addiction. Beer was…not terribly different than it usually is. Mouth party! 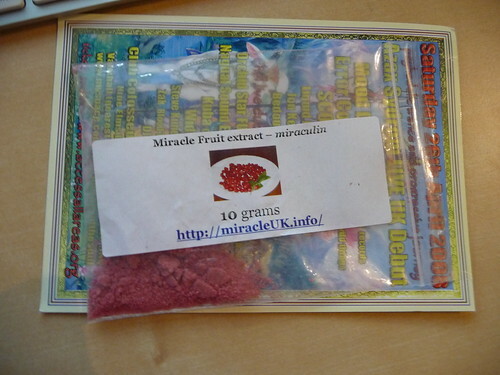 Miraculin = highly recommended. We got ours here. If you know of alternate suppliers, feel free to post them in the comments. 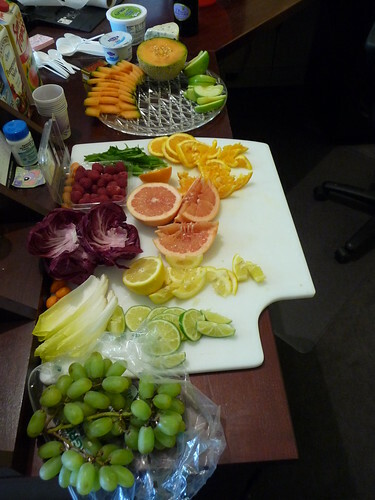 I recommend fruit like: grape (white), lime, grapefruit, blueberry and strawberry with miracle fruit.